The word ashram comes from the Sanskrit word, "srama," which means "religious exertion." However, in more recent times the term "ashram" is used to describe any facility used by a spiritual community. They can vary in size from a small hermitage housing just a few people to multiple building complexes which are home to hundreds, including whole families. Roger Gabriel at the Satuwa Baba Ashram School in Varanasi, India, which he helps to sponsor. 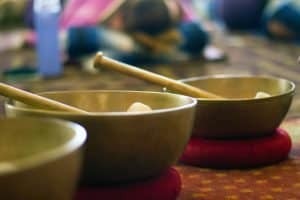 Ashrams have existed in India for thousands of years and, more recently, many ashrams have been established in other parts of the world. Whereas once, ashrams would traditionally be located away from the mainstream of human population, nowadays ashrams can be found in most parts of India and range from cheap accommodations for westerners to closed communities with strict rules and codes of conduct. Most ashrams are either headed by a living spiritual teacher or follow the path laid out by a particular lineage. Ashrams tend to have a set schedule, followed by the permanent residents, which visitors are invited or sometimes expected to join. Some ashrams also served as gurukulas or residential schools for children, adhering to a particular tradition. Westerners often have the impression that most Indians practice silent meditation and yoga asanas on a regular basis. While this may be true for some, the average Indian’s spiritual practices are more of a devotional nature. 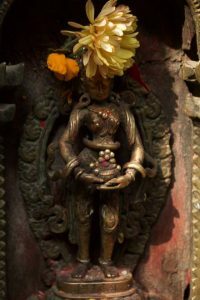 Most Indians will have a small shrine in their home, dedicated to the family deity and will visit their local temple to participate in prayers and rituals. Pilgrimages to sacred sites is also very much a part of an Indian’s spiritual duties and here, ashrams play an important role by offering food, housing and support to the thousands of pilgrims constantly on the move in India. 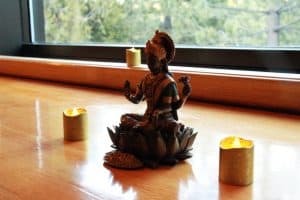 In general, an ashram is a sacred place and very different from a hotel. It represents an opportunity to step away from worldly affairs and return to a simpler way of living. 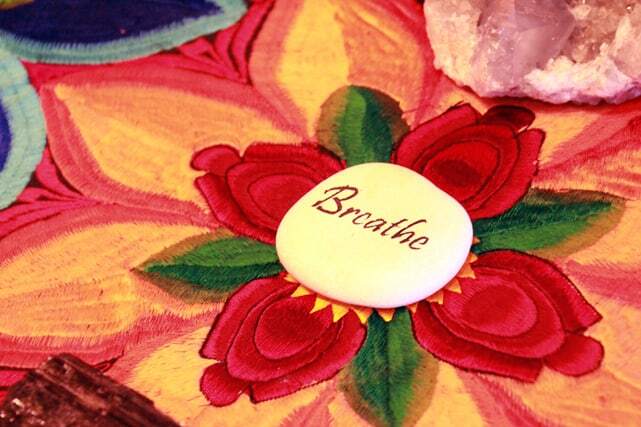 A place to nourish your soul, to deepen your spiritual practice and awaken to your true Self. An ashram is a place for inner freedom. 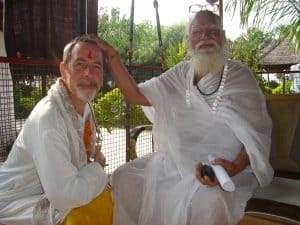 The Ashram community I have been connected with for almost 14 years is the Shree Satuwa Baba Ashram in India’s sacred city of Varanasi. During this time, I have visited it 2-3 times each year spending from a few weeks to several months there each visit. The Ashram dates back 300 years and, although touched by the modern world, still functions in accordance with ancient Vedic traditions. It is home to a residential school for boys training to become Vedic priests and provides temporary accommodations for several thousand pilgrims a year, all on a donation basis. Because of its traditional nature and fairly basic facilities, it receives few western visitors. Fortunately, even though I am something of an anomaly, I was quickly accepted into their family. The former head of the Ashram, Maharaji, who left us physically four years ago aged ninety-nine, was the purest, most highly evolved human I have been blessed to meet. He became my Guru and gave me my spiritual name Raghavanand. Although it was clear he had a great depth of profound knowledge, our language limitations restricted our conversations to simple subjects. At first, this created a bit of a dilemma for me, as I had spent the previous thirty years listening to spiritual discourses, reading sacred texts and questioning everyone. Nothing happens in an ashram without the Grace of the Guru and I was soon to receive that blessing. Sensing my confusion, Maharaji invited me to just be with him, to watch, listen and breathe in his divinity. And so, this is what I did at every opportunity. After spending years in Himalayan caves and returning to become Guru of the Ashram, Maharaji lived very simply. He slept on a mat on the floor in the same room where he spent much of the day meeting the many visitors who came for his advice or blessing. I would rise early in the morning, bathe and them quietly enter his room, where he would have already begun his morning prayers and pujas. 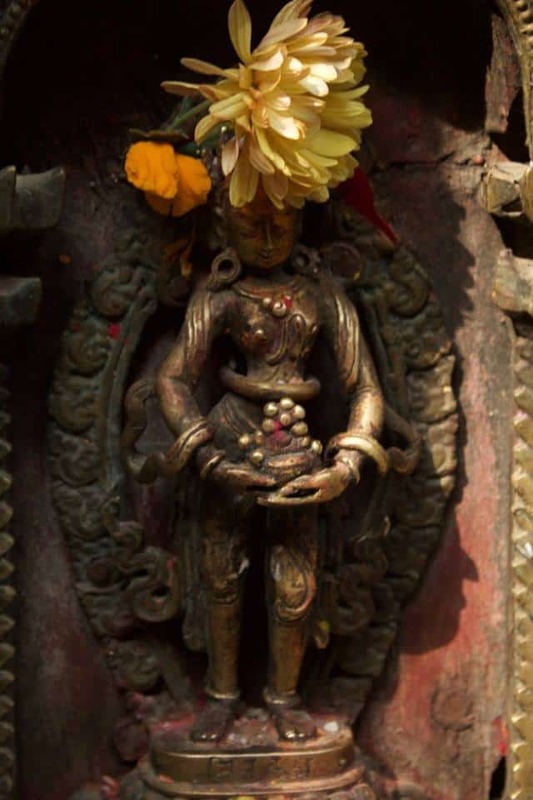 Sitting as unobtrusively as possible, I would meditate or simply observe his devotion. During the day, with me in tow, he might visit a neighboring ashram, take a boat ride on the Ganges or cross the River to visit the Ashram farm and cows. Maharaji loved his cows! During all of this, Maharaji would always make sure I was taken care of. He ate very basic meals but made sure I was properly fed and insisted on me drinking a cup of warm milk with him every evening before bed. Looking back, I realize that the time I spent with Maharaji, though mostly in silence, was as important to my spiritual growth as anything I have read in a book or heard from a discourse. I learned to accept that the moment is perfect as it is. Indian clocks seem to move at an entirely different speed than those in the rest of the world and this is particularly evident in ashrams. Some mornings Maharaji would announce that he wanted to visit somewhere. In my usual westerner eagerness to be ready on time, I would inquire when we would be leaving. The answer was always the same, “When Lord Krishna decides”. I soon learned that this could mean five minutes, several hours or even days. From watching Maharaji, I have begun to learn the gift of humility. Even though he was respected in spiritual communities throughout India, his door was open to everyone who came. Whether a poor village farmer, a pilgrim or important politician, everyone was welcomed with the same degree of respect. As I’ve mentioned, Maharaji lived simply and being with him encouraged me to do the same. Over the years, the luggage that I thought necessary to take with me to the Ashram, grew less. Sleeping on a wooden bed, having no heat in the winter, bathing from a bucket of cold water and sitting on the floor to eat my meals without utensils has now become my ashram norm. Seva and the practice of Karma Yoga is very much a part of ashram life. Everyone is invited to pitch in with whatever needs doing. However, I soon learned that Indians who had grown up chopping vegetables on the floor, serving food to long rows of hungry people from a bucket or sweeping the floor with a broom made of twigs, were much more efficient than I was. After frustrating everyone with my slowness, I finally asked Maharaji what job could I do. Without hesitating he replied, “Official Ashram photographer” and to this day, that’s what I am! I’ve always enjoyed my quiet time. Whether it was my meditation, reading or walking in nature, this has always been a regular part of my daily routine. This however, doesn’t always work out in an ashram with 70 young boys. The main focus of their education at the Ashram is learning Sanskrit, learning the Vedic chants and the performance of sacred rituals. Recently a daily English class has been added so now my quiet time is invaded by little boys eager to practice what they know. I remind myself that the reward of patience is patience! Although the Ashram had a school, the actual school building had fallen down years ago and the boys slept and studied scattered throughout the Ashram. One day Maharaji called me into his room and said he wanted to rebuild the school but needed my help. My first fear was that he expected me to start mixing cement and laying bricks but he told me that my role was to raise the money. I mentally debated whether laying bricks would be easier. When I expressed my hesitation, he said, “Don’t worry, Lord Krishna sent you to help us”, definitely no pressure! I had no experience in raising large sums of money but I told him I would do my best. A week later I returned to the US and received a phone call from a good friend who I had traveled with in India and who was also a successful businessman. During the conversation, it occurred to me to ask his advice on raising the money. When I explained how much was needed, he said that it was no problem and that he would pay for everything. Wow! I immediately phoned the Ashram to tell Maharaji the great news. When I told him I had all the money, he matter of factly replied, “Of course, I knew you would, we’ve already begun the construction”. If you haven’t already, I hope you all have the opportunity to visit an ashram one day. In the meantime, bring the energies of an ashram into your home. Create a special space where you can enjoy your spiritual practices. Set aside regular times each day for your practice. See if you can be more accepting, humble and patient in your life. Can you be more selfless when helping others. Ultimately your personal ashram is that place of pure love you always carry with you in your heart.